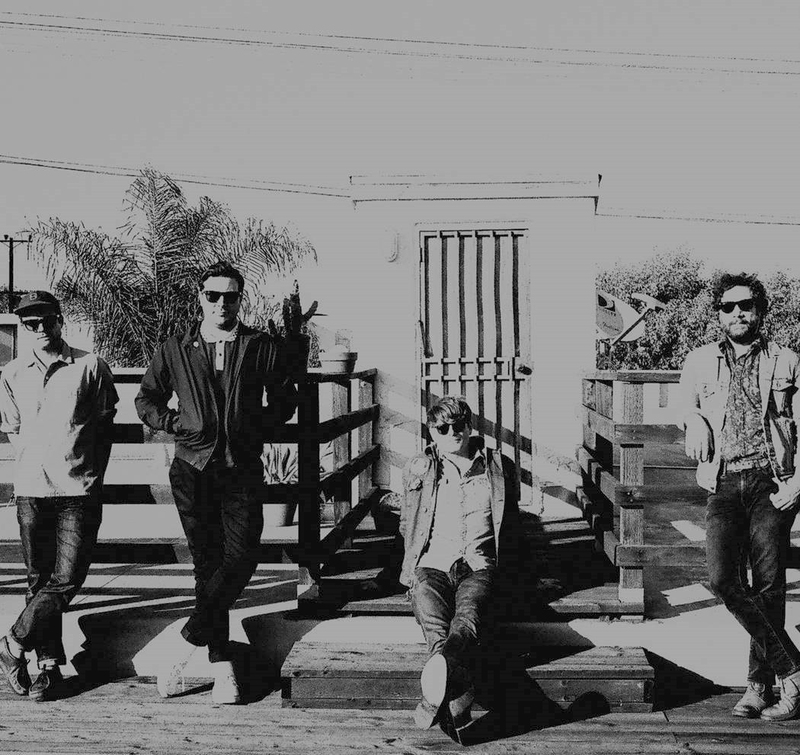 I will not conceal my personal love for the music of Oh Sees (The Oh Sees, OCS,…). The garage/psychedelic rockers with frontman John Dwyer keep releasing albums at the speed of light. Only last year they released the heavy album ‘Orc’ and now here they are with a new album. ‘Smote Reverser’ has eleven tracks and has that sound that only Thee Oh Sees produce. Refreshing keyboards and organs shift between sharp psychedelic guitar solos with the well known voice of Mister Dwyer over it. Classic rock songs switch with psychedelic punk to progressive rock. Oh Sees will always remain themselves, doing what they love, making music, slightly varying with their sound but you will always recognize their sound. Again a brilliant album by a brilliant band. Listen to ‘Smote Reverser’ then listen to all their other albums and then do that again. I added their music to Fuzzy Sun’s Spotify list. The new EP by San Diego’s psychedelic rockers is something i really looked forward too. Their previous 7″ was on of true beauty with an amazing cover of Solitary Man by Neil Daimond. I kept playing those two songs over and over and now they have released their new EP called “Cabin Fever”. These 5 tracks are filled with perfect amounts of garage rock, psychedelic rock and some sweet vintage sounding tunes. With each track as good as the next one it is difficult to choose a favorite, so i will not. This needs to be on repeat and everyone needs to fill their ears with this cosmic desert sound. ‘Cabin Fever’ will be easily on my best album list of 2018. Listen now and find Aunt Cynthia’s Cabin on Fuzzy Sun’s spotify list. 2017 was a really good year in music. So this is the stuff we liked most. Thee Oh Sees is one of my favorite bands of all time. I believe they are one of the most underrated rock bands ever existed. Original, divers and full of fuzz. So i made a best of playlist of their complete discography. Buy Thee Oh Sees recors on Castleface! I was very much looking forward to this release. The French garagerockers already released some really awesome tracks, but now we can listen and buy their full album on bandcamp. “Cheap Entertainment” has this really cool fuzzy garagesound thats really rocknroll. Dusty Mush is in my top 2017 poll, Vote them for best album this year. Moon Duo keeps on giving magic. This is the second track of their forthcoming album Occult Architecture Vol. 2. The album releases May 5, 2017. Listen to their previous single Lost in Light. Or listen to their magnificent Occult Architecture Vol 1. And while you’re at it, vote them best album of 2017.